Exclusive ICD Event to be held in Singapore! ICD Singapore will be holding an exclusive event in November, with the chance for clients and end users to get an insight into data center security as well as network with security professionals at one of Singapore's classiest bars. Courtesy of one of our partners, the data center tour will be hosted by one of the leading global data center services providers in Singapore, offering attendees the chance to see how they employ security systems to ensure zero down time and maximum security 24/7. In addition, guests will also here about the challenges of security data management, with insights from a key security management software provider. 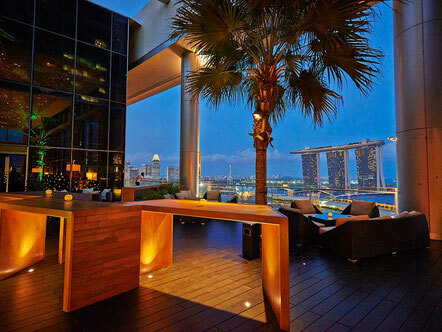 The second half of the event will take place at a Singapore rooftop bar that boasts one of the best views in town, an opportunity to relax, catch up with the ICD team and meet other security professionals. This event will be held on Thursday 12th November but is an invite only event and only pre-registered guests will be admitted. If you are a security professional in the area who would like to attend, please get in touch with us via marketing@icdsecurity.com to register and find out more.